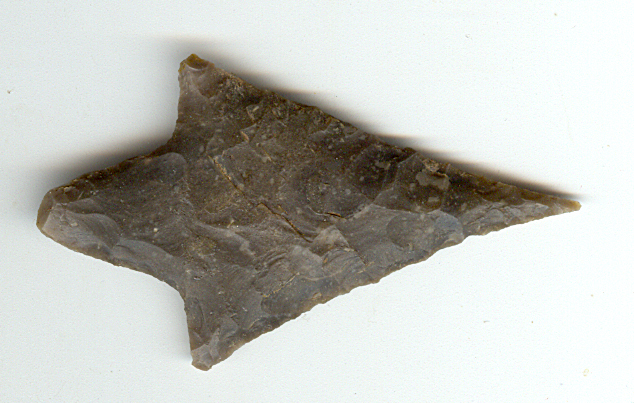 A Medium Size, Thin, Colorful, Very Well Made, Langtry Point That Exhibits Surface Aging & Stone Coloration Patina, Aged Surface Soil Deposits, Correct Style Flaking, Aging At The Stem Notches, Mineral Deposits, Correct Blade Edge Sharpening Reduction, Correct Material And Manufacture For The Area Found. Found On The Brazos River By Pete Rocket Many Years Ago. This Is A Highly Collectable Example, Displaying Nice Workmanship, Being In Excellent Condition, Having A Nice Sharp Needle Tip! Includes Dwain Rogers And Ken Partain Certificates Of Authenticity!